Anna and Bennett were never supposed to meet. Why would they? Anna is sixteen in 1995, fiercely determined to leave her quiet town and finally travel the world. 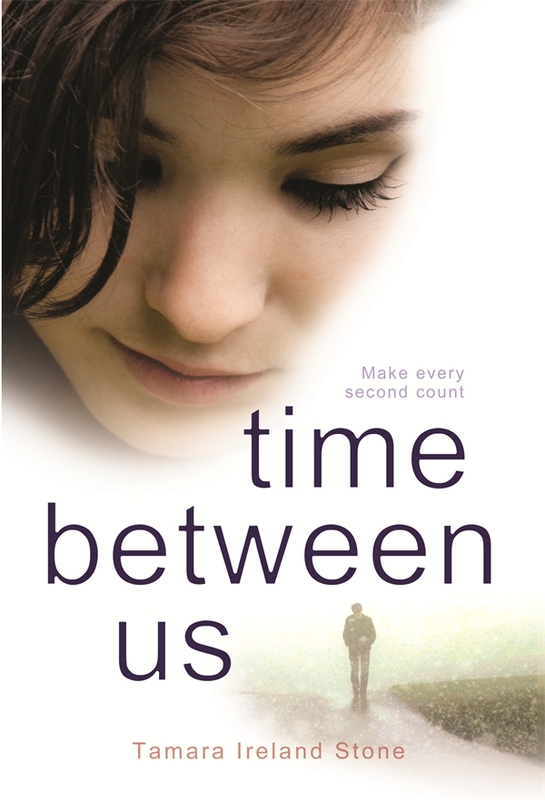 Bennett's seventeen in 2012, living in San Francisco and trying to control his ability to travel through time - an incredible gift, but also an unpredictable curse, which constantly threatens to separate him from the people he loves. When Bennett suddenly finds himself in Anna's world, they are inescapably drawn to one another - it's almost as if they have met before. But they both know, deep down, that it can never last. For no matter how desperate Bennett is to stay with Anna, his condition will inevitably knock him right back to where he belongs - and Anna will be left to pick up the pieces. It's funny, as I was reading this book I thought to myself, if I had to choose one ability, I would choose time travel. When I read the little author bio at the start of the book, the author thought exactly the same thing, and that his how this book came about. This book is unashamedly a romance novel. I say that with no disrespect, as I find so many dark books, deep and meaningful books, and depressing books for teens, that I feel there is a lack of something that is just a great pieces of escapist reading. It's hard enough being a teenage girl, boys are a big part of what can make your life difficult. That's why when you do meet one who makes you happy, it's like a little miracle. Well, for Anna her miracle came to her in the form of Bennett. At first she is not sure what to make of him, he is moody, secretive and more than a little odd. When she gets to know him better she finds that there is a very good reason for all off these things. While the story takes place in Chicago in 1995, Bennett is actually from San Francisco in 2012. Bennett can travel anywhere in the world and anywhere in time between 1994 and 2012. On one ill fated trip back in time further than he should have gone, he lost his sister, who travelled with him to see a concert. He lost her in 1994, and he has come to 1995 to find her. He doesn't find his sister, but he does fall in love. So this is the story of two people who should never have met, a girl who has never been anywhere, and a boy who has been everywhere. It seems impossible that they can stay together, so they have to make the best of every single moment. Like I said it's a romance, a dream romance really...imagine going to Thailand on a first date, or spending the night in a Greek village...who could resist that! There is also a more important life lesson that Anna faces, and that's to do with making decisions based on what she wants and what will make her happy, not based on other people in her life. Basically, don't plan your life around a boy, the main thing is to be happy, if the boy is a keeper, no matter what the decision, it will all work out.